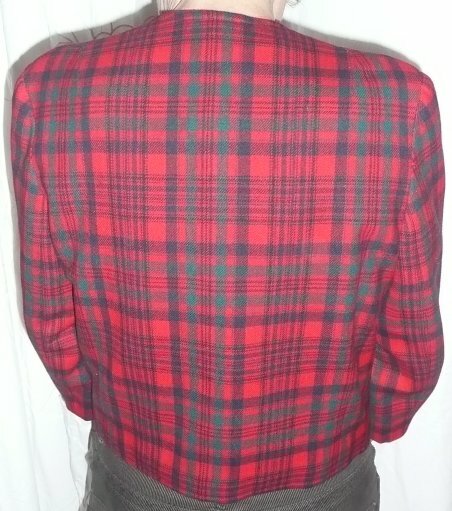 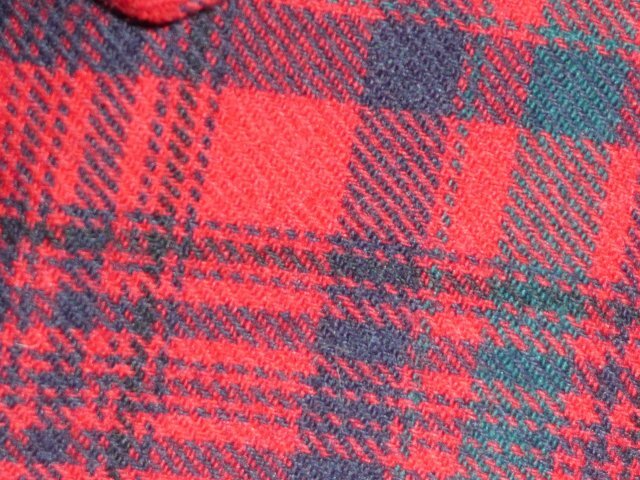 Vintage1950s red tartan boxy jacket. 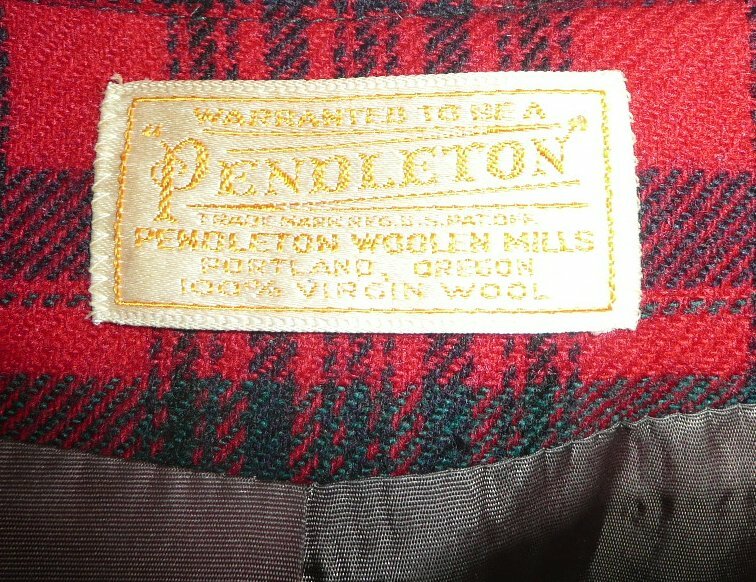 This comes from America, with the prestigious Pendleton label - made in Portland, Oregon from 100% virgin wool. 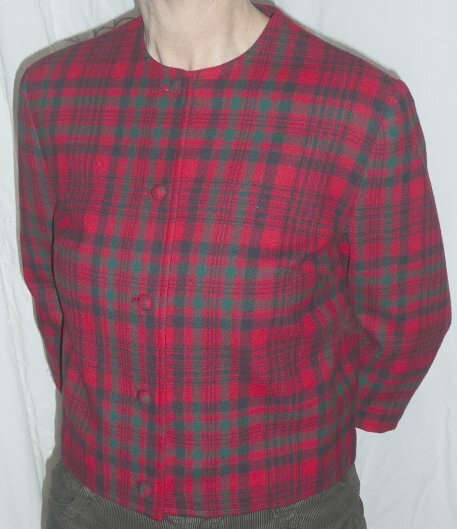 It's the classic 50s boxy shape, with elegant, bracelet-length sleeves, no collar, a round neck, and five self-covered buttons. 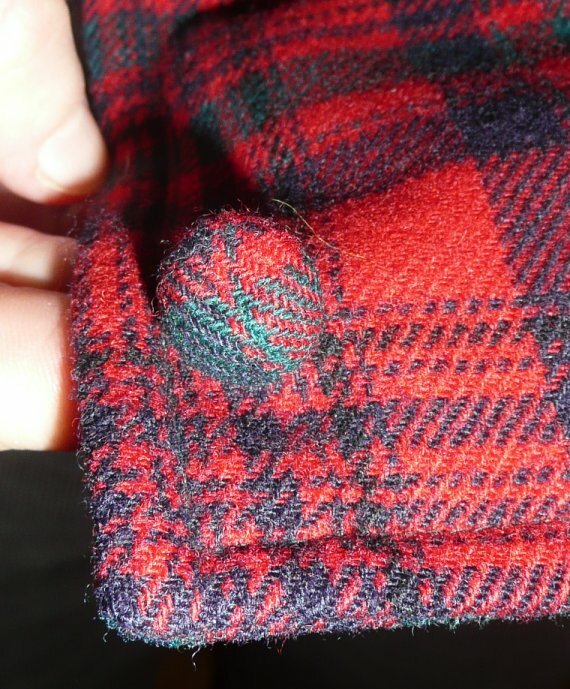 Fully lined and pocketless, the pattern is a sort of tartan in red and charcoal/black (if it's a real one, and you know which, please let me know!) 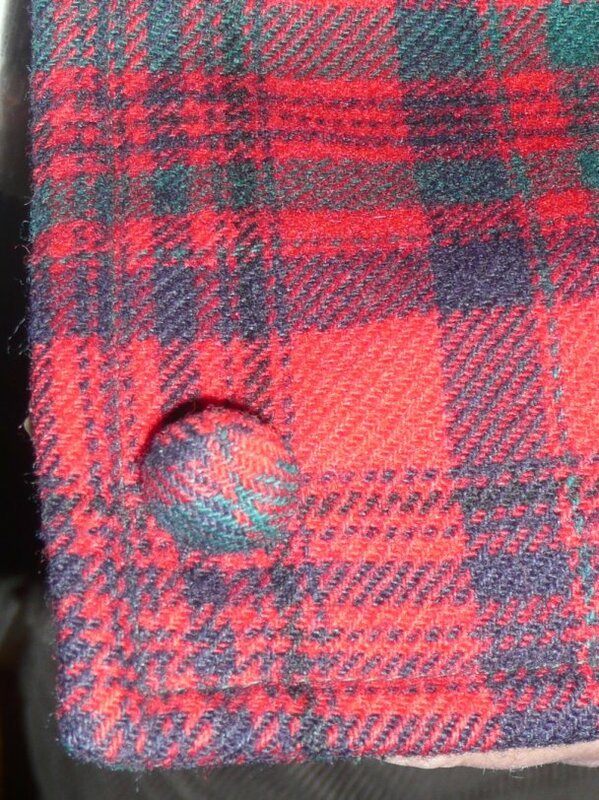 It's in lovely condition, with no apparent flaws, and very wearable. 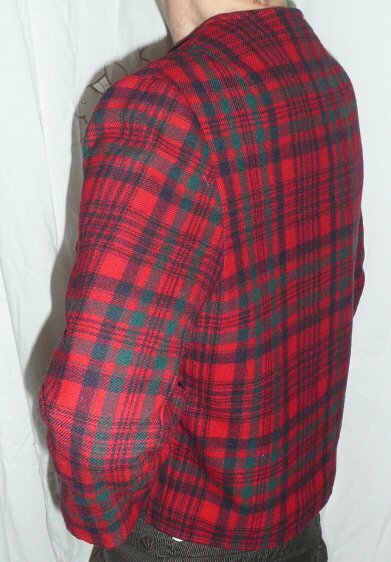 I've seen a number of girls of different sizes try this on, and it looked good on all of them - the secret's in the cut! 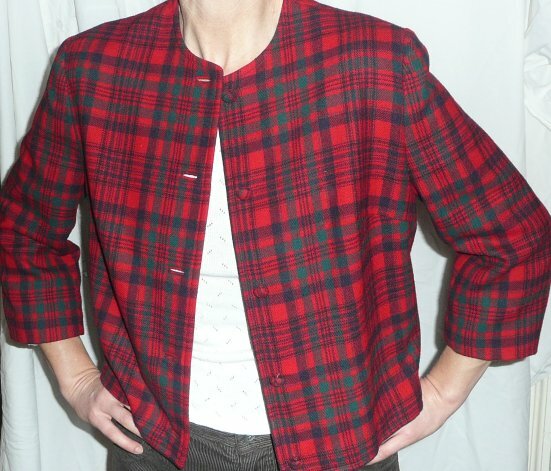 Approximate measurements are underarm: 41 ins/104 cms: upper sleeve: 18 ins/46 cms; lower sleeve: 11 ins/28 cms; total length 20 ins/51 cms.